But you slept there, right? Travelers often abandon rational thinking in pursuit of a travel objective. It’s difficult to make significant emotional investment selecting and booking a hotel, long anticipating a safe, quiet sanctuary in an unfamiliar city at the end of a long journey, only to run into an obstacle. You just want to get into your room, right? That’s not always the best idea. Sometimes it’s necessary to refuse a hotel room, no matter how travel-worn you might be. In most cases, it’s a matter of getting the product you were expecting, but in others, your safety and security can depend on refusing a room assignment. Based on my experience, here are a number of situations where travelers should refuse a hotel room they’ve been given. I once checked into a beach hotel in South Florida late the night before a cruise. When I stepped into the room I heard a disconcerting splash beneath my feet. The carpet was completely soaked through with water of unknown provenance. I called the front desk and they said they were sold out of rooms in that category, but they could send up dryer fans. Nope. A room with a wet carpet should be taken out of service. Hotels should maintain and clean rooms on their own time, not their guests’ time. After some unnecessarily standoffish discussion, I was eventually given a room of the same type with a slightly better view. Had I stayed in the room, any claim that it was unacceptable would have had less merit—it was acceptable enough for me to occupy, after all. Hotel room categories can often be difficult to figure out. What’s the difference between an Oceanview Room and an Oceanfront Room? How much bigger is a Junior Suite versus a Suite? What’s Deluxe about the Deluxe Room, or is that really a Standard Room? 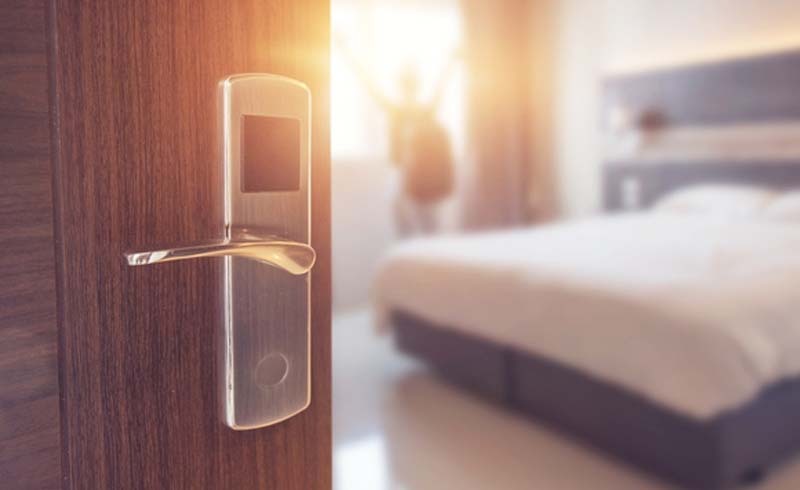 A guest shouldn’t reach a guest room to find out it’s markedly different from what was expected—the room category and configuration should be confirmed verbally during the check-in process. The room location should also be discussed (without giving the room number verbally). If the room doesn’t sound like the category reserved, ask. Sometimes the difference between categories could be as simple as a floor. I once worked at a hotel where Moderate and Deluxe Rooms were identical; Deluxe Rooms were simply on the fourth floor or higher. Guests also have a responsibility to inquire at booking if the difference between room categories is unclear. In these situations, it’s best to contact the property directly, as employees working there will have intimate familiarity with their rooms, and can better accommodate specific questions. It’s my habit to deadbolt and chain the door behind me upon entering. However, in one room I checked into, I turned to find there was no chain. The hardware was there, but the chain was missing. It seems trivial, but a room’s security features should be operational. That’s a definite room change. Another issue is when hotel employees mention a guest’s room number out loud, particularly if used in conjunction with a guest name. Key cards have greatly improved hotel security over the past several decades, but not to the point where a guest should be comfortable with their room number being pronounced within earshot of a stranger—not only does it announce the location of a guest and their belongings, it also gives a would-be imposter the ability to sign charges to a guest room, as most properties verify guest name and room number at most before extending signing privileges. Guests staying at affected Marriott hotels during the recent strikes checked in to find housekeeping services significantly curtailed, and many restaurants and facilities closed. Marriott handled complaints on a case-by-case basis, but there have been reports that local management kept pointing to the fact that the hotels remained open and able to honor confirmed reservations. Yes and no. The reservations were honored, but not for the same product the guest understood they’d be receiving when they made the reservation (many guests reported they were informed of the strike-related service changes only upon arrival at the property). It’s important to pay close attention to special conditions when booking. Some hotel brands are better about informing guests with confirmed reservations about service changes up front—if it’s a surprise, guests should be allowed the opportunity to cancel without penalty. Again, in these cases, it’s of particular importance not to check-in and stay the night. Once a guest has been informed that the service may not meet their expectations, their continued patronage can be considered tacit acceptance of the situation. A hotel room should be refused politely, and if necessary, with management. First, explain why the room isn’t acceptable, and request alternate accommodations. Unless there are significant service deficiencies, guests will typically be accommodated into the same room category, if available, without any additional compensation. 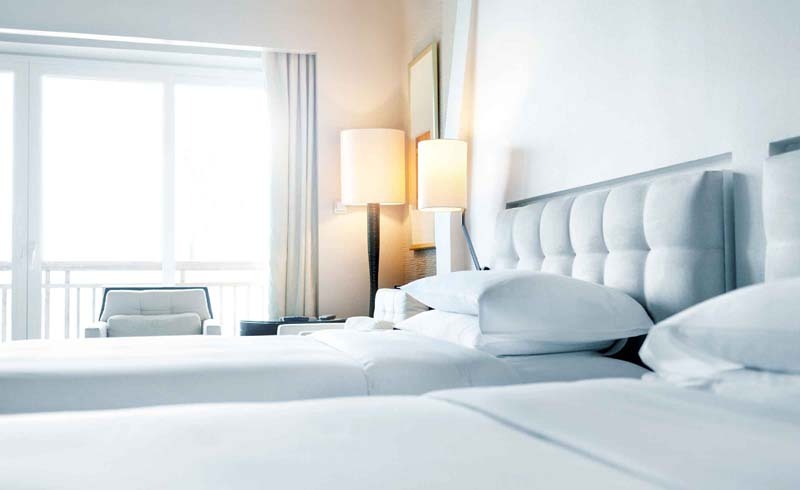 If an acceptable room or the property at large is not acceptable, management should agree to waive any cancellation fees (and contact any consolidators or suppliers they’ve sold the room through on your behalf to authorize a refund if your hotel stay is prepaid), and give suggestions on alternative accommodations. The best hotels will call competitors on a guest’s behalf to check rates and availability. While ultimately frustrating, especially at the end of a long travel day, the ability to resolve any issues with a hotel room immediately upon arrival will ensure the rest of a stay should be as pleasant and relaxing as originally expected.